Everyone know that the two greatest thieves in the city are the Moth and the Whisper. What nobody knows is that the Moth and Whisper disappeared months ago and the new Moth and Whisper is actually one person pretending to be both of them: Niki, the child of the Moth and the Whisper. Niki has been trained by their parents in the arts of stealth and infiltration, but they’re still just a teenager, and now they’re alone, searching for their parents in a hostile, cyberpunk dystopia. The truth about Niki’s parents and their disappearance is out there, but can Niki survive long enough to find it? 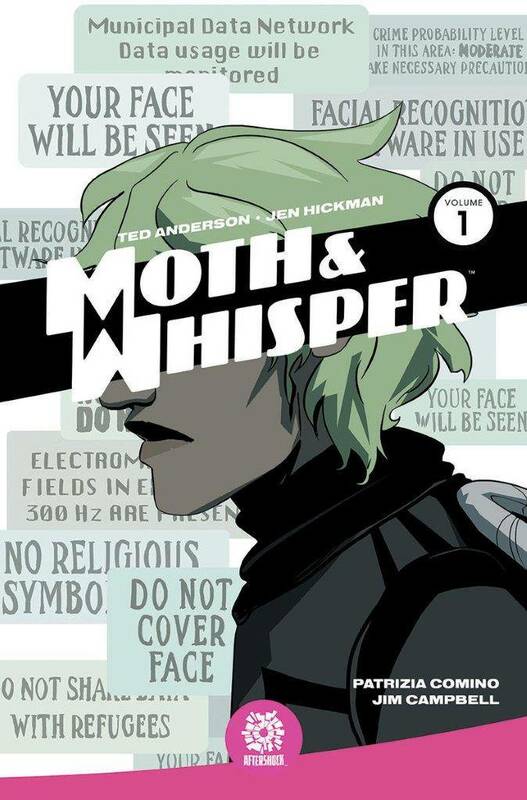 A YA cyberpunk thriller starring a genderqueer super-thief, MOTH & WHISPER is the brainchild of Ted Anderson (My Little Pony, Adventure Time) and Jen Hickman.